Our 2018 Golf Survey canvassed the views of thousands, capturing the behaviour and habits of regular golfers, hoping to understand their relationship with the game. This is our final article of analysis, delving into those results, in which we reached a broad section of avid golfers - split almost evenly between club and non-club members - to discover their spending habits and what they perceive to be value across the golf industry. When it comes to basic equipment, we found that the average golfer purchases new balls every 1-3 months, as well as new golf gloves every 1-3 months, understandably the most regular spend. Clothing is next on the list, with golfers buying new apparel every six months. Commitment is something we appreciate within our audience, and that is apparent through them changing their grips every two years, but it was a little surprising to see that they also upgrade their golf bag every two years, which makes you wonder what happens to all of those old bags! Perhaps unsurprisingly, golf club members were more likely to own a trolley at 90%, compared to 80% of non-club golfers, so the frequent upgrades of new bags could be factored into seeking flexibility when it comes to carry, push, pull models etc. Reflecting the rise of technology, we have continued to see a rise in golfers purchasing GPS devices. Two years ago, 62% of golfers polled had one. That figure is now up to 79% for club golfers and 68% for non-club golfers, often in the form of the more affordable products and greater availability of apps for smartphones. Additionally, with 72% of golfers wearing a watch it was also noted that there was a slight rise in the number of golfers now owning a GPS watch based device, trends that we only see continuing throughout the coming years. In terms of purchasing habits, retail stores are the most common locations, but naturally golf grips are likely to be bought through a golf professional. 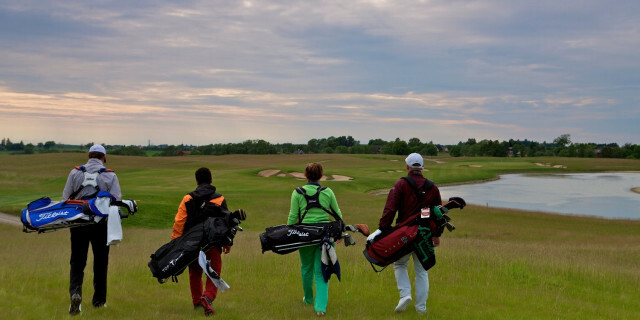 Male club members and female golfers are generally more likely to buy their equipment from the pro, compared with non-club golfers who more regularly spend their money in regular stores. Balls, bags, trolleys and clothing are also slightly more likely to be purchased online by golf club members, while the non-club golfers will utilise retail establishments. 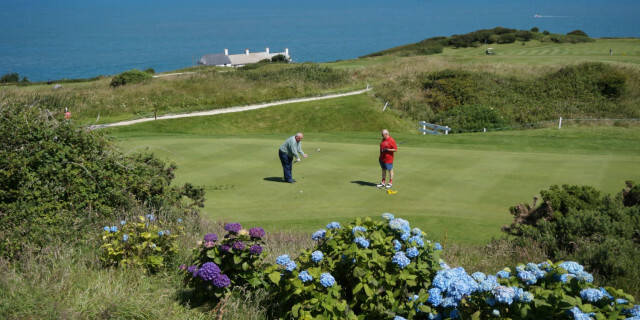 What is encouraging, for those who regularly play the game, golf is still perceived to be good value for money compared to three years ago, with both club and non-club golfers both stating that green fees and memberships deliver value. This is pleasing to see in an industry that has faced challenges within a difficult environment, and it's also a positive to see that golfers are spending more than three years ago, across a variety of areas, including green fees, membership, equipment, accessories and clothing. Looking specifically at green fees, which have come under pressure during the past decade, the survey highlighted that 63% of non-club golfers are spending more on green fees, a major jump from when the question was asked in 2016, hopefully suggesting that people are playing regularly and visiting a wider variety of courses. We hope that you have found this series of articles informative, results originated directly from the views and comments of everyday golfers, the lifeblood of the game, whose passion for golf is something that we remain excited by.